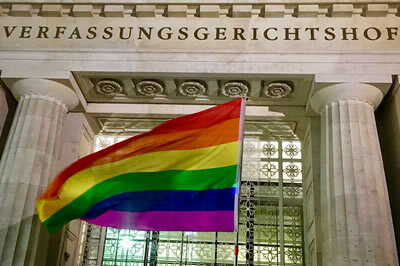 The Austrian Constitutional Court (the first and oldest constitutional court in the world) is the first court in Europe to turn down a marriage ban for same-gender couples. Accordingly Austria is the first European country to recognize marriage equality for same-gender couples as a fundamental human right. All the other European states with marriage equality introduced it the political way.